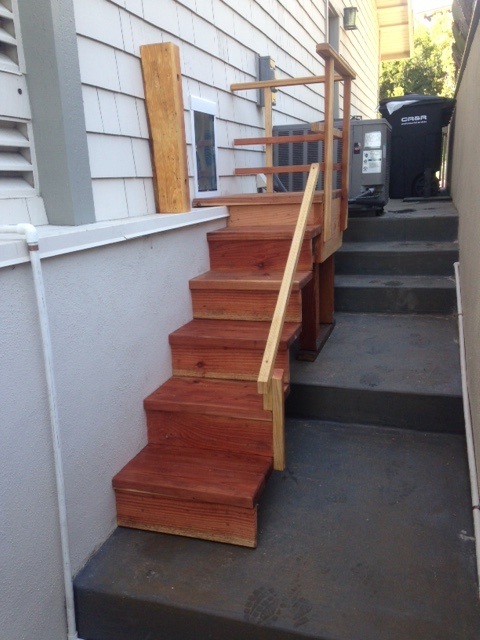 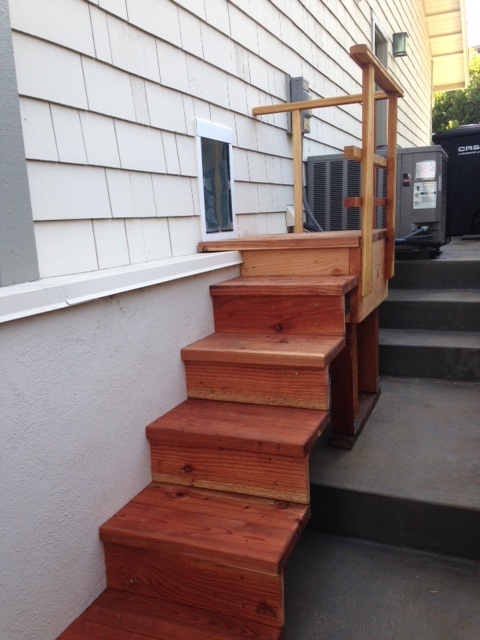 A home in Laguna gets a new pet stairway and top landing for easy access to the side "dog run" yard. 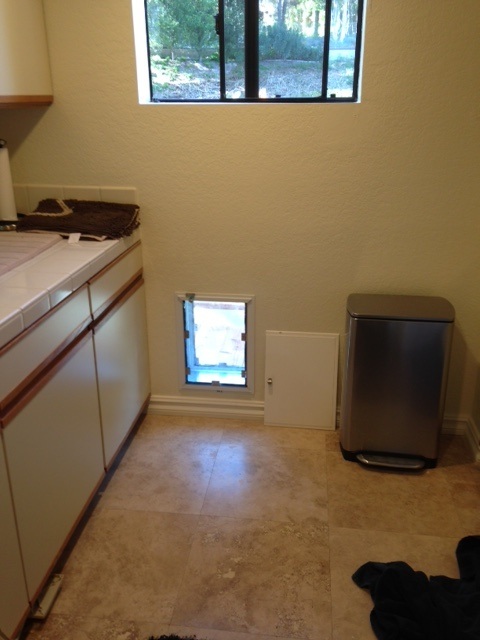 After the pet staircase guard rail is installed, the wall in the laundry room just on the other side of the new stairs, a pet/doggie door is to be installed. 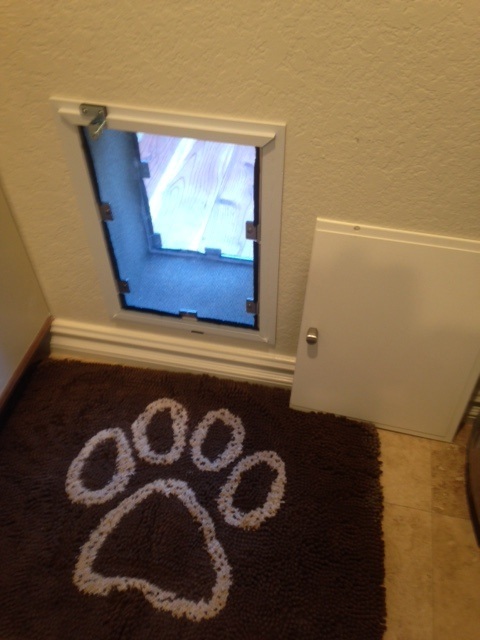 Pet door installed for access through the laundry room, including necessary flashing for weather and most of the stairway guard railing. 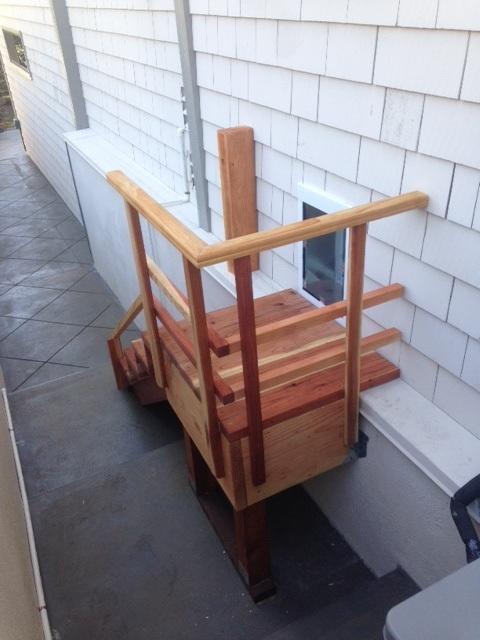 Stairway and pet door completed. 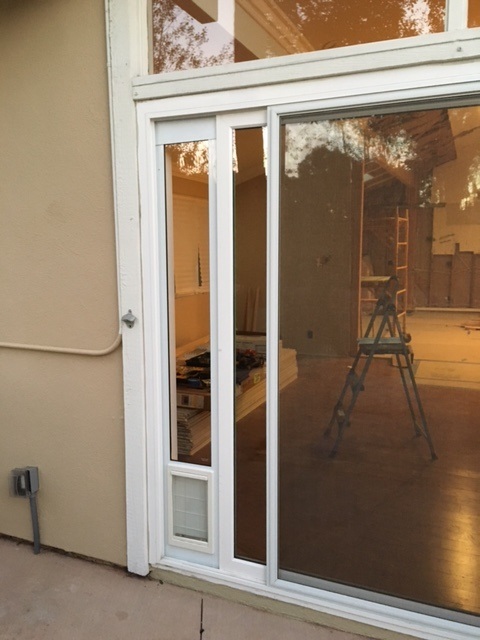 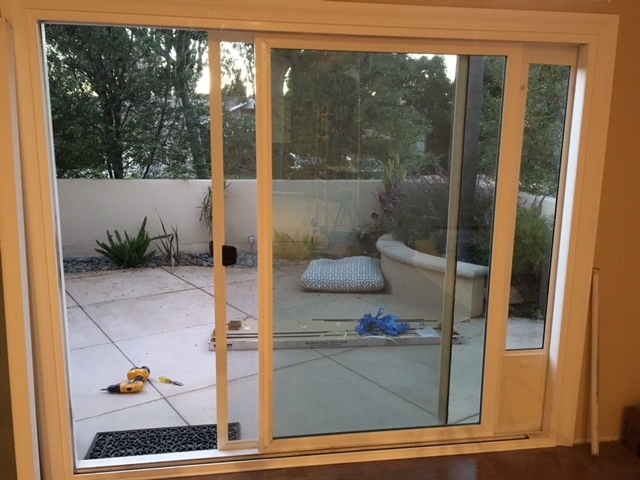 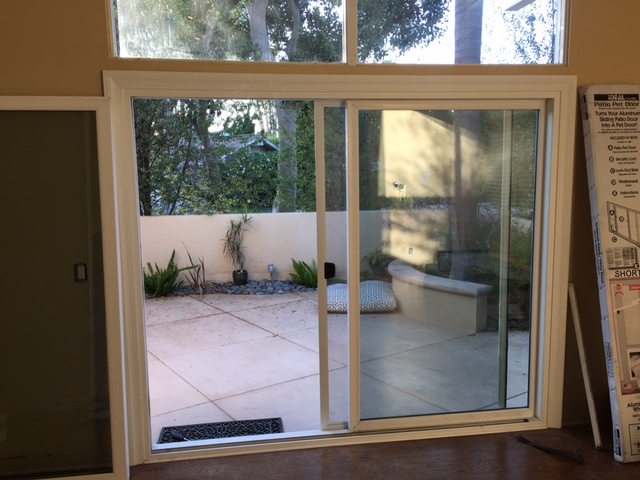 A home in Newport Beach had me install a doggie door into their 8" glass sliding door.